Alone I am. Very small. I am only one weed with one seed head and one stalk, one set of leaves and one season to live, rooted in this spot of random choosing. I cannot leave this place. I can not make a difference. But in this spot, I see others. I understand somehow that if I stand en masse, I am amplified and my strength is greater. Together, my friends and I can move as one. And when we do we sway and bend and push the sun in waves that travel down the hill and up over the crest of it, dancing freely in the rhythm of the air. One step a weed cannot take, but with hundreds of like minded weeds on a hill, they can grab your eye and take you over the hill. They can reach the peak and circle back for another look. They can march up the hill to open your eyes and make you smile. 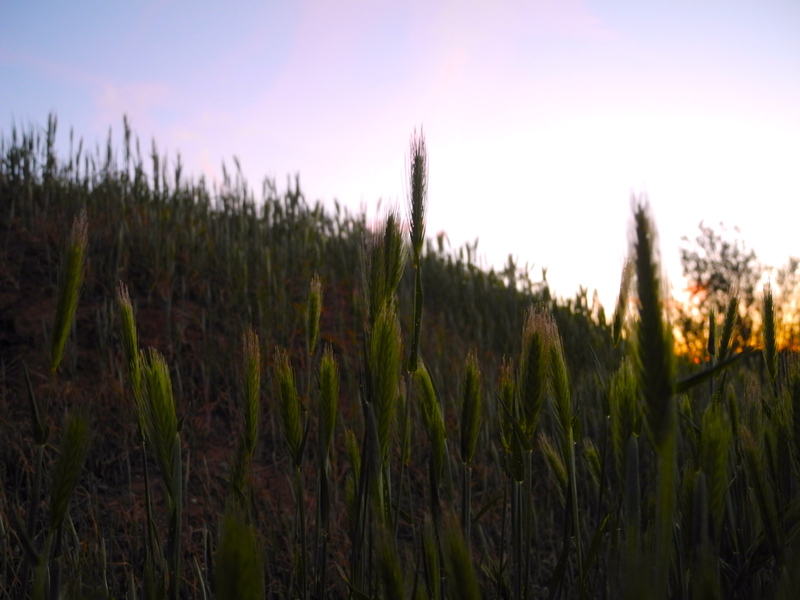 I stood today and watched the foxtails. Their soft fuzzy tips tickled my toes and woke me up to joy.